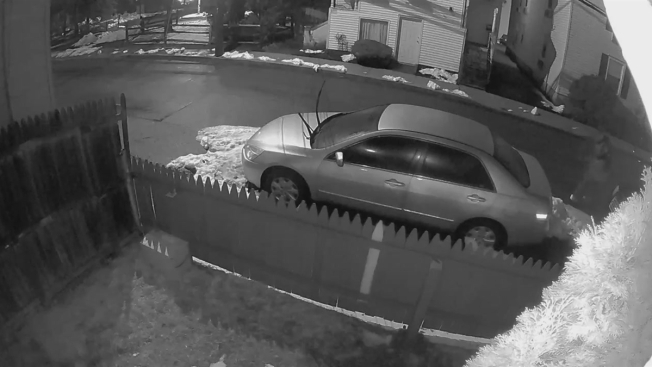 Police are looking for two people who keep randomly leaving boxes in the front yard of a homeowner in a wealthy Connecticut community. Police are asking for help identifying two people in a bizarre mystery that has plagued a homeowner in a wealthy Connecticut town for the past year. They keep leaving boxes on the person's front lawn. Authorities in Westport say boxes have been left in the Franklin Street yard on random occasions over the past year. Some of the boxes have contained headless chickens, according to Westport police. 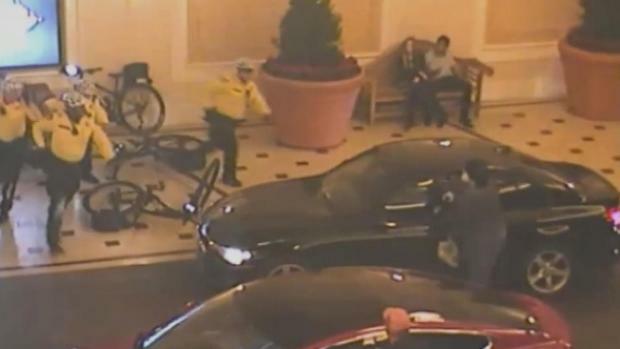 Las Vegas police have released bodycam and surveillance video that show the moments leading up to a deadly officer-involved shooting at the Bellagio Friday. KSNV's Max Darrow reports. It's not clear why the boxes are being left on the lawn, but police say the headless chickens may be tied to religious or cultural rituals. Police say there is no reason to believe the homeowner is being targeted. Footage released by police shows two people walking down the street. One of them, who appears to be a man, pauses when he reaches a fenced yard. He lifts a medium-sized cardboard box over the fence, places it down in the yard. Then he walks off in the direction of the Westport train station. Authorities ask anyone with information to call 203-341-6039.